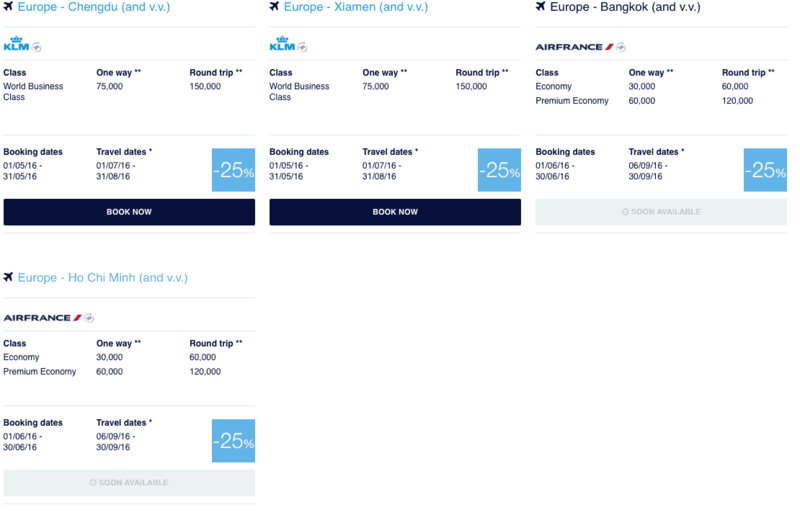 The KLM Promo awards for August are here! 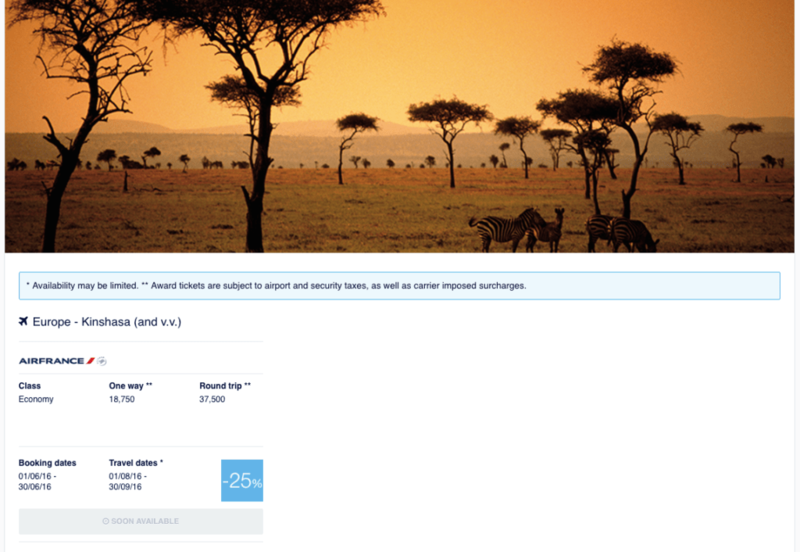 KLM Promo Awards have discounted rewards flights with KLM. They offer them for bookings two months in advance with up to 50% of the required miles. 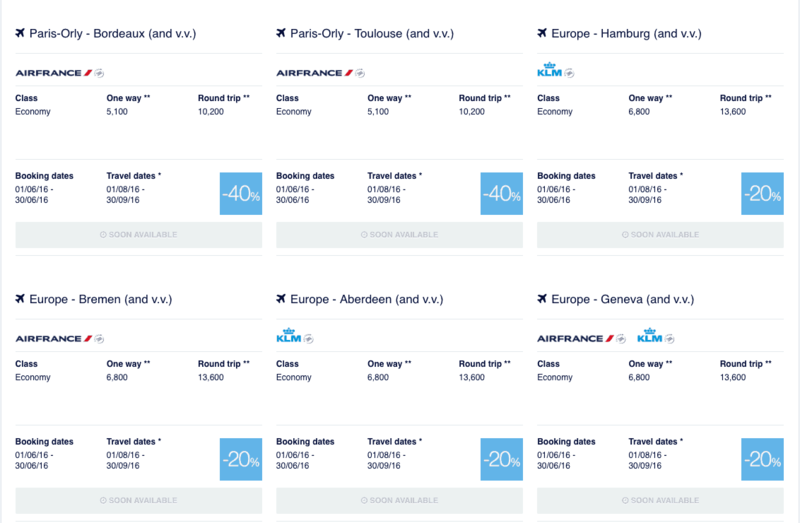 Many times there are some great flight deals to be had and perfect if you are looking for cheap redemption. Here more here why I like them. 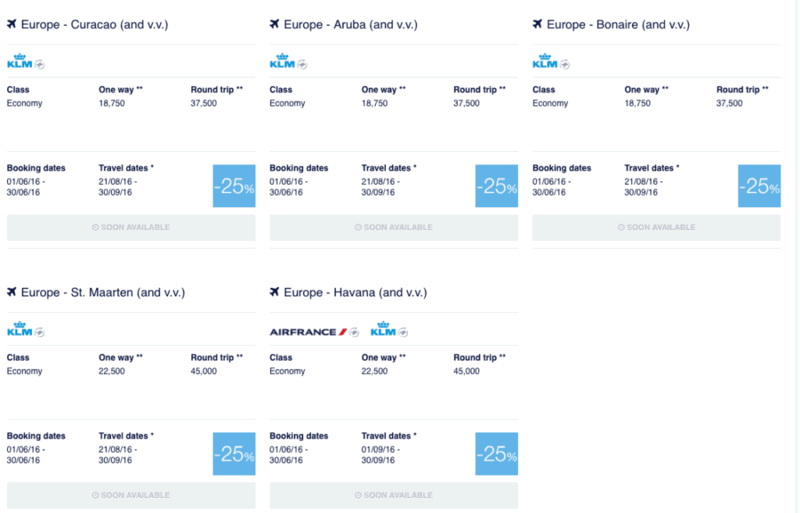 I cover the monthly KLM Promo awards and I think they are a great option to explore some destinations on cheap air miles. This month there is not much excitement in my opinion. Even the middle eastern routes which are no offered on a good discount and there is no economy for Dubai and Abu Dhabi. For the past few months, they have been a stable of these offers. 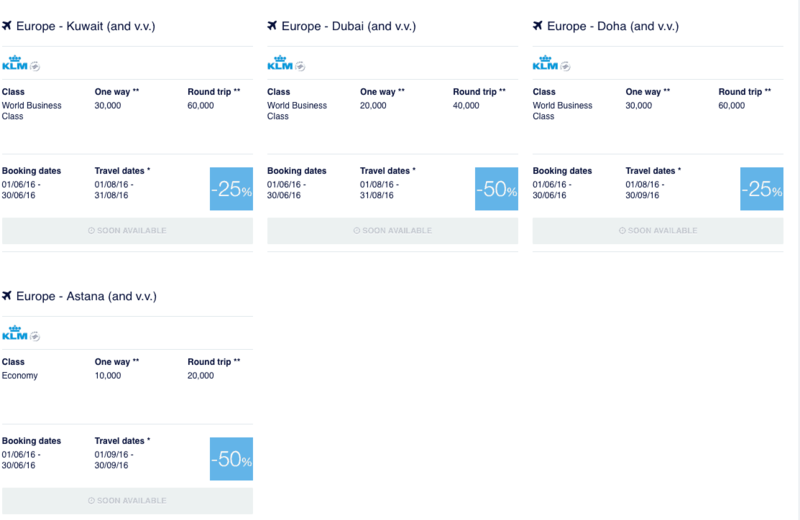 However, this is a good deal on business class and probably the cheapest way to get to Dubai for 40,000 return miles with 50% discount. You can check out the KLM page here and all of these will be bookable from 1st of June. 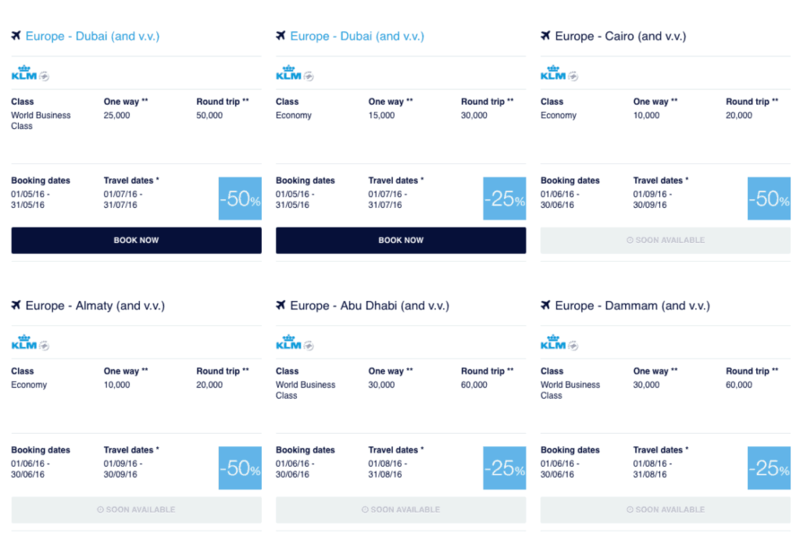 For the Middle East, I think the best option is the business class with 50% discount for 20,000 one way. This is a cheap way to get through the six-hour flight in relative comfort. Though the seats are not fully reclining and a little outdated. Taxes are cheaper than British Airways at about £220 one way. There is nothing impressive about North America choices. Africa usually has some great flights however not this time. The Caribbean have some good options however for Aruba, Bonaire and Curacao. 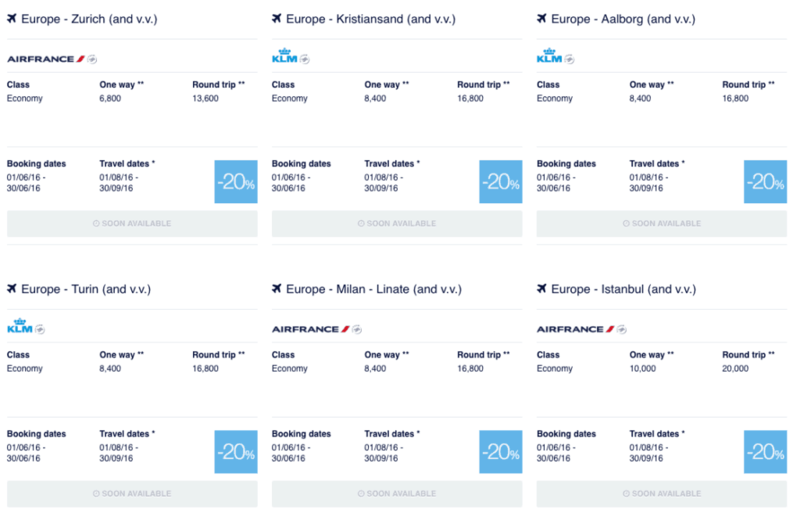 Europe does have some offers especially if you were planning a trip to the city and you leave outside London. Though I wish they had some more beach destinations. 🙂 Which of course in peak summer season I doubt it. Lastly Asia is also not in with strong options. Here is the site again if you want to check them for yourself. Klm fies the B787 to Dubai. So your comment about the outdated seats are not correct.. I checked one of the dates on SeatGuru and KLM and it came with the B777 which is recliner seat so my comments were was based on that.